Now, the Apple phone is resistant to water, splashes, and dust. In addition, everything on the iPhone is now better thanks to iOS 10 and the new features it includes. 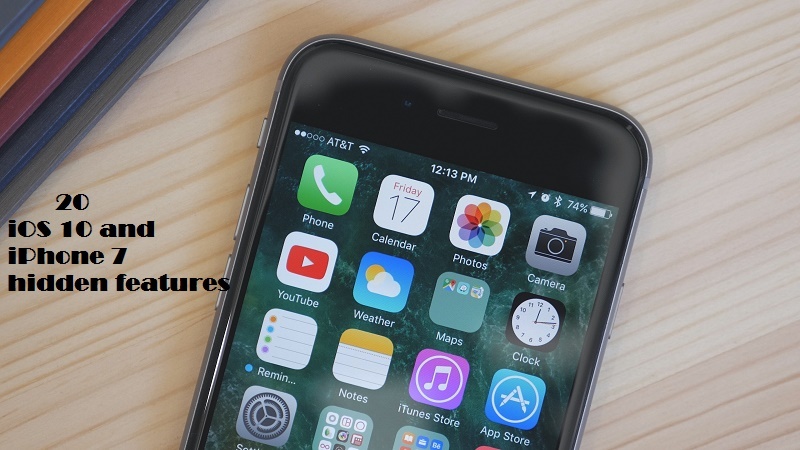 Now, take advantage of all the news, Apple has presented the following essential tricks to get the most out of iPhone 7 and iOS 10. We no longer slide to unlock the iPhone because now you can do much more with the screen blocked in iOS 10. Slide the screen to the left to access the camera much faster or slide the screen to the right to access. You can also slide the screen down to check the Notifications or even swipe the screen up to see the Control Center. Get support for using and customizing control center. 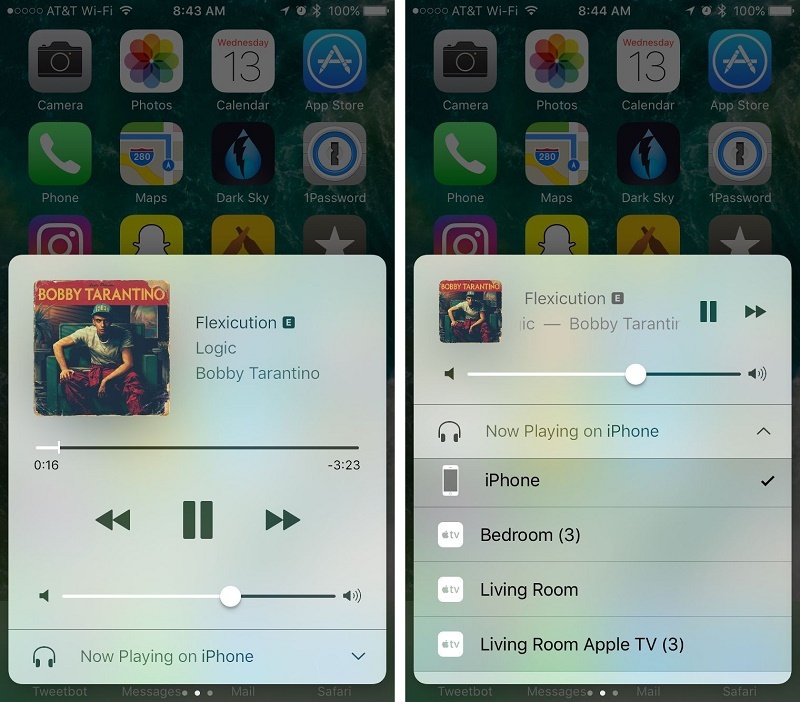 Open the Control Center and apply these shortcuts via 3D Touch. Press the Flashlight icon to change the intensity of the light, from medium to low. Copy the latest calculator results or press on the Stopwatch icon to set a specific time. Simply lift the iPhone to activate. Your notifications will be waiting for you on the screen. This feature compatible with iOS 10 for iPhone 6s and above. Customize the today display by adding and organizing your ‘widgets’. Press edit at the bottom of the screen, then add or remove ‘widgets’ and change their order according to your preferences. You can customize the pressure or force level of the click of the Start button in ‘Settings »General» Start button’. There, choose the type of click you want. Has the iPhone dropped into the water? Remove the liquid by hitting your iPhone against your hand with the lightning connector facing down. Leave it in a well-ventilated place. If you have a fan, put your iPhone in front and direct the air directly to the lightning connector. Water resistance test of iPhone. Change the appearance of message bubbles. Thanks to the effects of impact, scream, softness and invisible ink. Now, you can say things with determination, high or even whispering. Send full-screen effects such as balloons, confetti, lasers, fireworks and shooting stars. Simply press the send button. Select ‘Effects on Screen’ and swipe to choose the one that best captures your mood. Attentive to this trick that Apple has shared: by sending ‘Happy Birthday’, ‘Happy New Year’ and ‘Congratulations’. The Effects on Screen have activated automatically. Easily understand what happens in your message groups with the tap back. Now your friends can share reactions in messages. In addition, you can keep a count of reactions using tap backs. In this way, questions like ‘Pizza or Hamburger?’ and ‘Beach or Pool?’ they can be decided with a quick vote. For example, three I like buy prednisone online usa versus three I do not like. Now you can include a photo in a message by simply pressing it and dragging it into the conversation. If you are in Messages, press the camera icon to access a specific keyboard. It will allow you to easily select your best images or take a new photo without leaving the ‘app’. 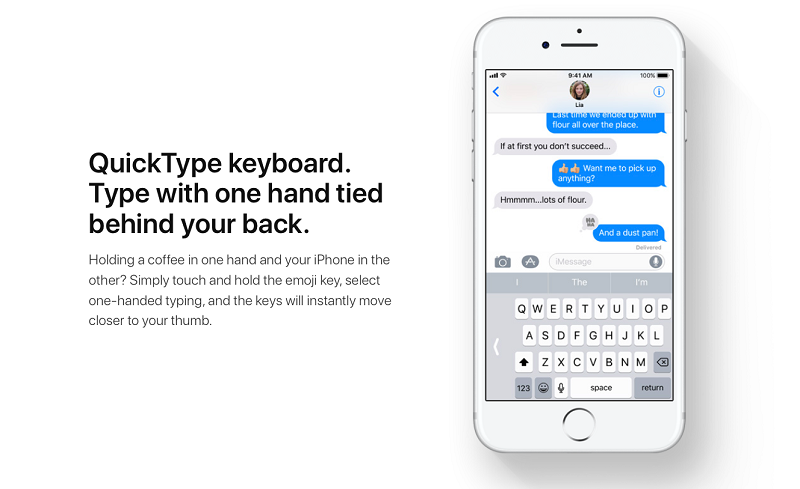 The Quick Type keyboard has improved thanks to Siri’s intelligence. Predictive text in iOS 10 is more effective through context predictions, which include places and contacts. Now you can send your location or an email address from contacts with a simple tap. For example, if a friend asks you where are you? IOS 10 suggests Share Location with a simple tap. When you write an iMessage, put your iPhone in landscape mode to send a more personal text written by hand. IOS 10 brings ‘apps’ to Messages thanks to the App Store for iMessage. iPhone and iPad users can now discover, download and open applications directly from Messages. In this way, it is easier to share content, edit photos, make payments and collaborate with friends. The App Store for iMessage also offers animated and static stickers. So, we can express ourselves in many fun ways depending on the occasion. With iOS 10 you can customize the contact to which you notify the reading of messages. In an individual conversation, press the information button and you can activate or deactivate ‘Notify reading’ without modifying your general configuration. Siri works with your favorite apps from the App Store. So, now you can ask her to book a table through Open Table, a trip/drive by Lyft or pay 15 dollars to a friend with Venmo. In addition, you can ask Siri to ‘Make a selfie’, to activate the selfie mode in the Camera ‘app’, or to ‘take a picture’ to open the Camera app. Follow the lyrics of the song while listening to it on Apple Music. Simply slide up the screen and select View letters. A single organ donor can save up to eight lives. Register to be an organ, eye or tissue donor in Donate Life America thanks to iOS 10. 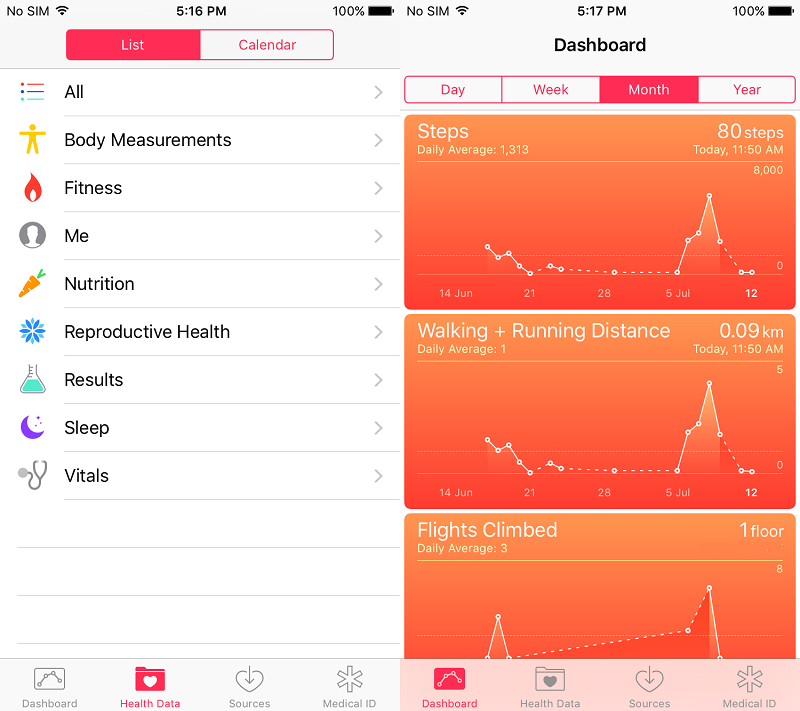 Access the Medical Information tab within the ‘Health’ app to register. Your decision will be included in the national database and will be valid even if you move to other countries. Easily find people or things in your photos, be it your dog, a beach or even a birthday cake. Every day you can enjoy new Memories thanks to the ‘app’ photos. You can also create your own Memories, view them as a slideshow or as automatically edited movies, as well as share them with friends and family. Now you can apply a filter to your Live Photos and also control the exposure. iPhone 7 is one of the best smartphones and iOS 10 is one of the handy operating systems in the smartphone world. 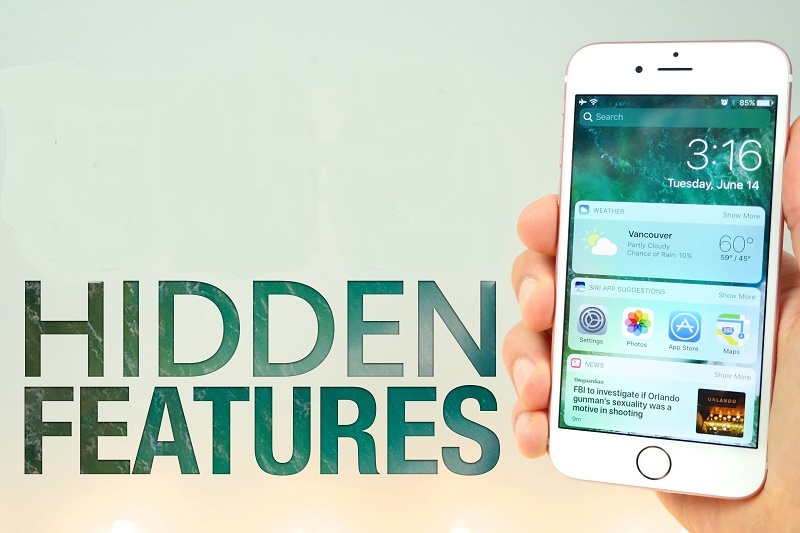 There are many iOS 10 and iPhone 7 hidden features. We just share 20 essential iPhone 7 hidden features that everyone needs. Don’t stop reading: iPhone X vs Samsung Galaxy S8, Which is better?